In his distinguished 40+ year real estate career, Ron Blake has earned widespread recognition in his field, with great respect from clients and peers, and a revered reputation as a creative thinker and visionary leader. He has long inspired others, and demonstrated an enviable record of achievement drawing on his extensive professional and personal experience. 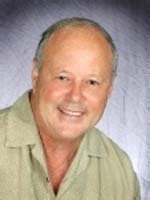 Ron began his real estate career on the Commercial side of the business with The Prudential Insurance Company of America with responsibility for site selections and lease negotiations for over 500 office locations in nineteen states. He has also been an investor himself, owning and managing both rental property and raw land. He holds a Bachelors degree in Real Estate from the University of North Florida and has earned the Accredited Land Consultant (ALC) designation awarded by the Realtors Land Institute. In 2000, opportunity presented itself and Ron and his partner purchased CB Isaac Realty. Shortly thereafter, three other brokerages were purchased and merged under the CB Isaac name and services were expanded with offices in Gainesville, Jacksonville, Hawthorne, Macclenny and Melrose. Ron has put together a team of talented professionals with expertise in Marketing, Commercial, Residential, Land and Property Management with an emphasis of providing exceptional service and helping people make smart real estate decisions. Using the latest technology and a keen sense of marketing on a global scale he is able to put listings in front of buyers worldwide. Ron has always been fully committed to and focused on excellence and bringing a unique valuable prospective to his clients and to the industry. His clients reap the benefits of his extensive experience, expertise, integrity, fairness and honesty, making him and his team the preferred broker for his clients.